Apologies for people not coming from Jen’s blog. WordPress and I had some disagreements about when this should be published, and the link posted in Jen’s blog is for the incorrect date. I’ll leave it that way for a few days and then correct it. Thanks! I thought it would be interesting for 7 Quick Takes today to focus on 7 Seats of Religious Heads, places that house the heads of religious groups. Most religions don’t have a singular head. Instead, they have many heads (think of the Catholic Church with no Pope, only bishops). But even those without clear heads sometimes have a symbolic head to represent the group. Arguably one of the most famous heads of a religious order is the Pope of the Catholic Church – everyone knows that Rome is his home. Like I touched on here, there are four major basilicas in Rome which are governed by the Pope. However, St. John Lateran is the actual seat of the Pope. St. Peter’s is so well known because it is a more ideal place for the Pope to celebrate. 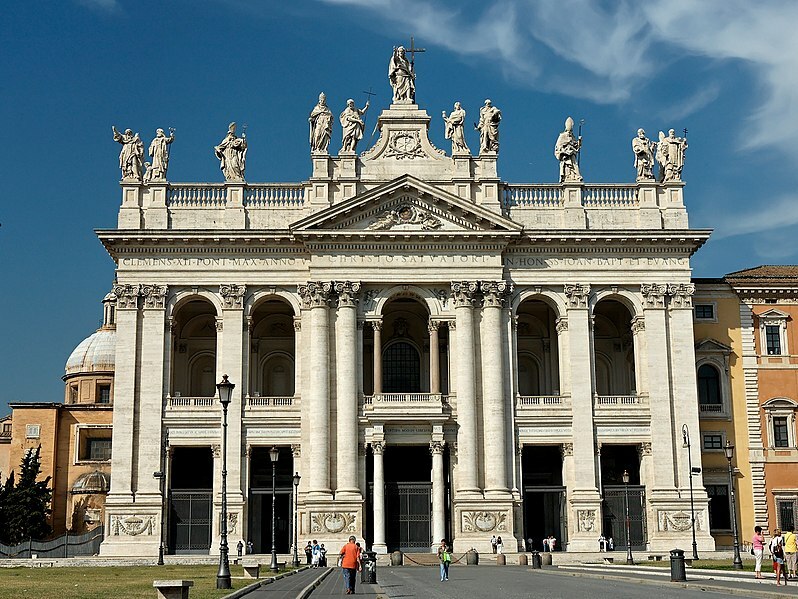 This is because St. John Lateran is much smaller and actually is located outside of the walls of Vatican City, whereas St. Peter’s is arguably the largest Christian church and is situated right next to the papal residence. The Coptic Orthodox Church is an offshoot of the Oriental Orthodox family of Christianity, one that doesn’t accept Jesus as being both fully human and fully divine. They are lead by their own Pope (separate from the one mentioned above) whose formal title is the Pope and Patriarch of Alexandria and See of St. Mark. His current seat is in Saint Mark’s Coptic Orthodox Cathedral. If you’re wondering why the the official title refers to Alexandria, but the church is in Cairo, there’s a reason for that. The Pope of the Coptic Orthodox Church actually maintains two cathedrals – one in Cairo and one in Alexandria. Historically, Saint Mark’s Coptic Orthodox Cathedral in Alexandria (same name, different place) has always been his seat. Arab invasion of Egypt forced a change in location in the 1000s, and Cairo was chosen. Since then, six different churches have fulfilled the Cairo position, but the Alexandria cathedral has always been recognized as a second residence. I don’t know why, but I kind of always assumed that Westminster Abbey must be the seat of the Anglican Church, even though I knew that the Church of England is headed by the Archbishop of Canterbury. Never mind that Canterbury and London, well, just aren’t the same place. 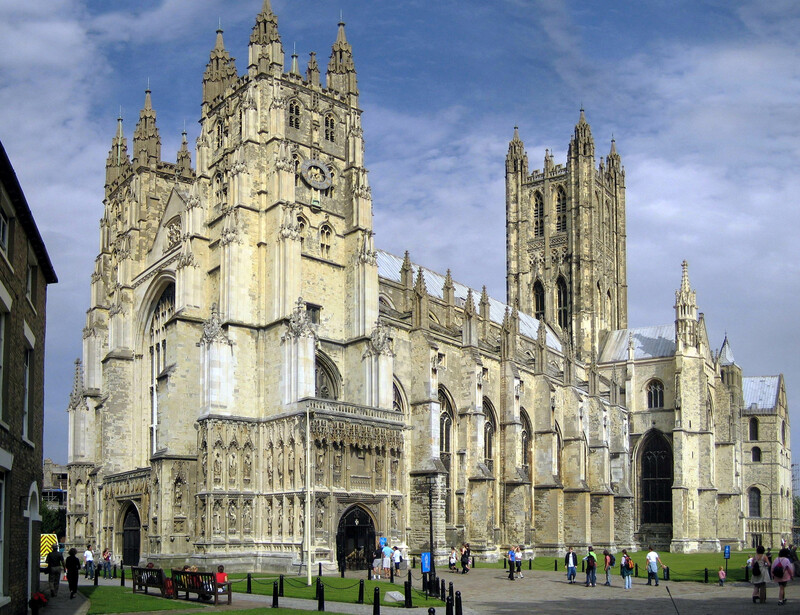 Canterbury Cathedral was built in 1070 as a Catholic church. Eventually, it became the head of the Anglican Church after the split from Rome. Although the Archbishop of Canterbury is considered more of a symbolic head of the Anglican Communion, the Chair of St. Augustine (the Catholic missionary who founded this church) sits at the Cathedral, in a similar fashion to finding the bishop’s chair at his Cathedral in Catholicism. Those who are familiar with Eastern Orthodoxy know of their disagreement with the Catholic Church’s position of Pope. Instead, Eastern Orthodoxy has a bishop (or to be more accurate, a patriarch) who is considered “first among equals”. This person is the Ecumenical Patriarchate of Constantinople, who resides in the Church of St. George, found in Istanbul. Initially a convent, the Church of St. George became the seat for the Ecumenical Patriarchate of Constantinople in the 1600s. Since then, the church has undergone many restorations from the results of various fires and terrorist attacks. In 2004, Pope John Paul II returned relics of Saints Gregory the Theologian and John Chrysostom, which are now housed in reliquaries here. 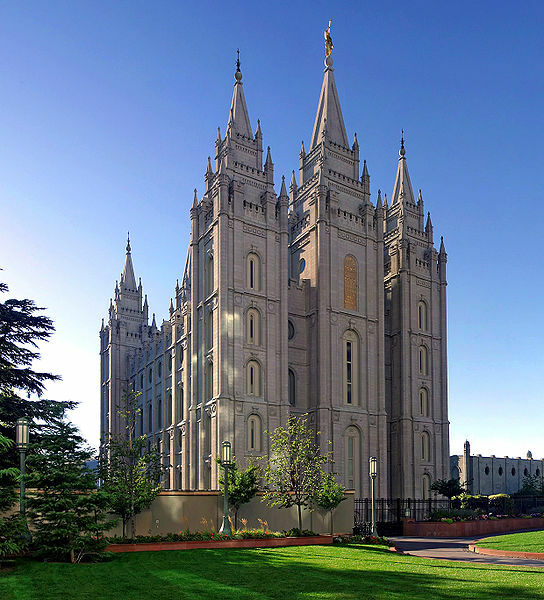 Although the Salt Lake Temple isn’t technically headed by the President of the Church of Jesus Christ of Latter-day Saints, all of his weekly meetings are held there, and for all intents and purposes, this is the building he is most associated with. Building the temple was a 40 year endeavor, culminating in its dedication in 1893. The Salt Lake Temple is the sixth temple ever built, and the fourth temple still in operation. Out of the 130+ temples in existence, the Salt Lake Temple is by far the largest and iconic of Mormonism. You can read some of the previous commentary on the Salt Lake Temple here. 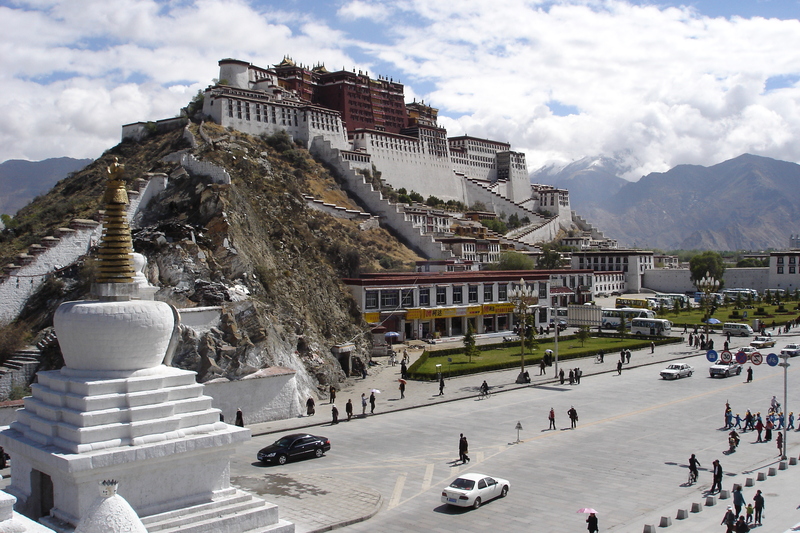 Potala Palace was the winter residence for the Dalai Lama. Of course, since he is now in exile, the palace is no longer in use as a residence and has been converted into museum. This site was initially used as a meditation retreat for the current king during the 600s. Later, the Fifth Dalai Lama started construction on the site of this same place, which was completed in 1694. The palace itself is made up of several palaces, each of which as a specific use. 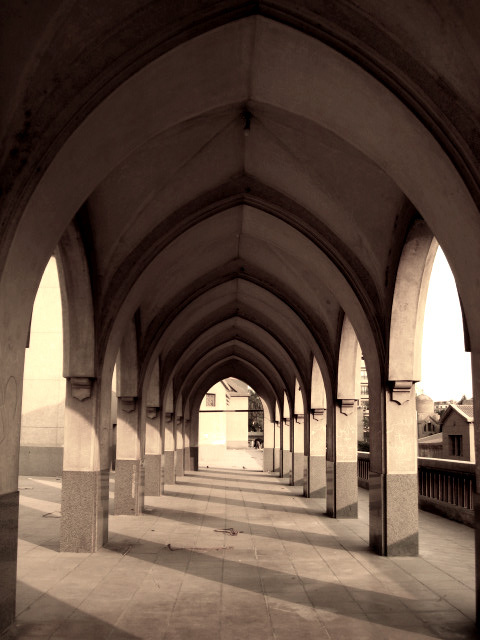 Some were used for more secular needs (offices, bookkeeping, etc), while others were devoted to Buddhist study and prayer. When the Dalai Lama wasn’t at Potala Palace, he was at Norbulingka Palace nearby for the summers. It was from here that the Dalai Lama made his escape into India, dressed like a soldier. Like Potala Palace, Norbulingka is now a tourist attraction. This residence was built roughly 100 years after Potala Palace by the Seventh Dalai Lama, although the Eighth contributed many additions. 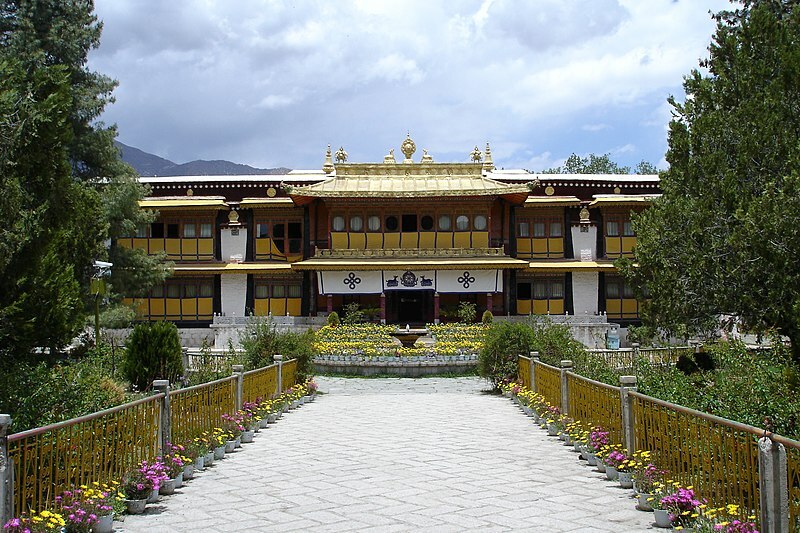 The Palace was first used as a residence by the current Dalai Lama, who frequently traveled to a nearby spring to help his health problems during the summer months. Because subsequent Dalai Lamas also enjoyed Norbulingka during the summer, it eventually became the second residence of the Dalai Lama.